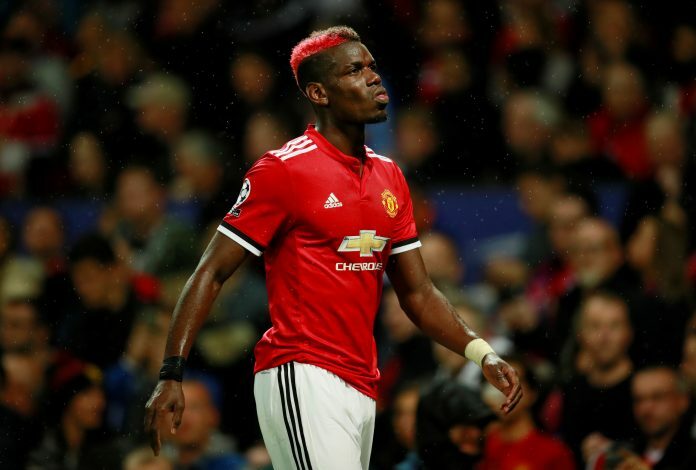 Paul Pogba’s agent, Mino Raiola, has broken his silence on the rumoured rift between his star client and Manchester United boss Jose Mourinho. Reports that emerged last month linked Pogba with a move away from the Red Devils. Moreover, the duo’s relationship has been under the microscope after the Special One shocked everyone by leaving the Frenchman out of his starting XI for United’s clashes against Huddersfield and Sevilla. Multiple sources suggested that there was a major issue between the two, after they were seen arguing during the Red Devils’ 2-0 loss to Tottenham Hotspur at Wembley. WATCH: What If Paul Pogba Leaves? However, Mourinho has insisted that there is no problem between himself and the former Juventus star. And now, the 24-year-old midfielder’s agent, Mino Raiola, has also played down any talk indicating a falling-out between Pogba and Mourinho. The super agent claimed that the France international has ‘no intention of leaving’ Manchester United, especially ‘without having won a title’. However, the Italian-born Dutch football agent also didn’t completely rule out the possibility of a move away from Old Trafford in the future. While talking to Italian TV station Rai Sport, Raiola said: “If things are not going well, I try to do my job, to find satisfactory solutions for my players and the clubs. At the moment, Paul hasn’t told me anything and I know he won’t move without having won a title.